(TORONTO) – Power and refinement in perfect balance: The Lexus GS series performance luxury sedans deliver both in abundance. For 2010, new safety and audio equipment make the Lexus GS a fresh expression of performance luxury motoring. 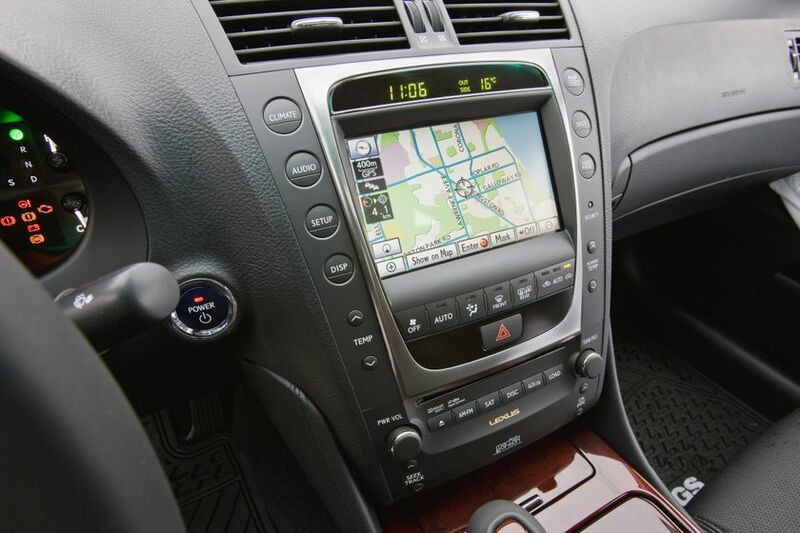 In addition, options packages featuring Navigation systems are upgraded to receive next-generation HDD-based Navigation systems, giving this performance luxury sedan even more refinement. A 14-speaker Mark Levinson audio system. The 2010 Lexus GS is available in three models: The V6-equipped GS 350 in either rear-wheel-drive or all-wheel-drive configurations, and the V8-powered GS 460 with rear-wheel-drive. The GS 350 is equipped with a 3.5-litre V6 that delivers 303 peak horsepower and up to 274 lb-ft of torque. Equipped with a full suite of Lexus engine management technologies and mated to a six-speed sequential shift super electronically controlled transmission with overdrive and snow mode, the GS 350 achieves a combined city/highway fuel efficiency of 9.3L/100km (rear-wheel-drive configuration) and 10L/100km (all-wheel-drive models). For awesome power and performance, the GS 460 is built around a remarkable 4.6-litre V8 that generates 342 peak horsepower and up to 339 lb-ft of torque. Matched to an eight-speed sequential shift super electronically controlled transmission with overdrive and snow mode, the GS 460 delivers exhilarating acceleration and inspiring performance. Lexus engine management technologies such as dual variable valve timing with intelligence, the direct injection system, electronic throttle control system with intelligence, and more keep fuel consumption to 10.5L/100km combined city/highway. All GS models achieve a Tier 2 Bin 5 emissions rating. Regardless of model, the GS series features a full suite of Lexus handling and control technologies as standard. These include the state of the art Vehicle Dynamics Integrated Management System, tuned to each model’s performance profile, plus Vehicle Stability Control, Traction Control and Hill-Start Assist Control. Ventilated disc brakes at all four corners manage heat build-up during extreme braking conditions, and are backstopped by the Lexus Antilock Braking System with Brake Assist and Electronic Brake-Force Distribution. Safety systems deliver no compromise protection on every model, from eight air bags (dual stage driver and front passenger air bags; front seat mounted side air bags; driver and front passenger knee air bags; front and rear / side curtain air bags) to the Lexus Active Front Headrests with Whiplash Protection and the rear high-mount stop lamp with LED. All models are also equipped with a first aid kit and tool kit as standard. 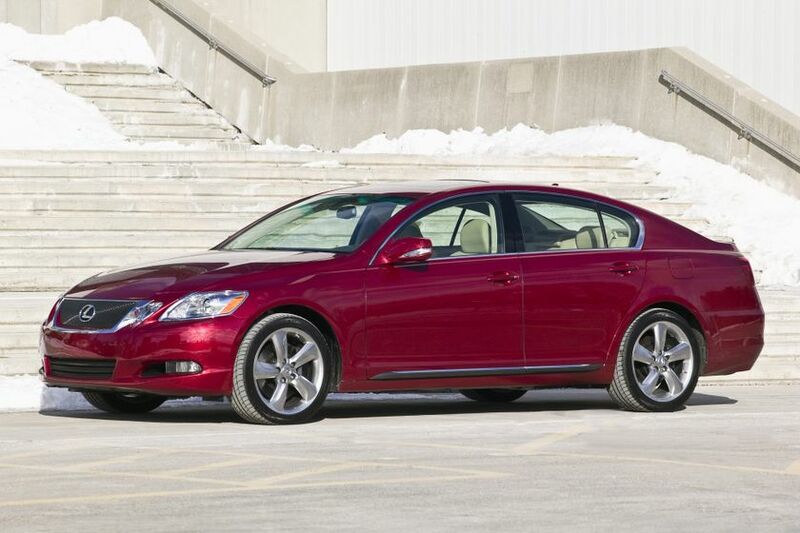 Regardless of drivetrain configuration, the GS 350 boasts a robust suspension tuned for high performance driving. The independent front suspension is of double wishbone design, while the independent rear suspension is fitted with multilink rear control arms. Each is reinforced with a stabilizer bar. The GS 350 is equipped with highly responsive electric power steering and sure-footed P225/50R17 Performance Summer Radials. The all-wheel-drive GS is further equipped with rain-sensing wipers and the Lexus Adaptive Front Lighting System with headlamp washers. 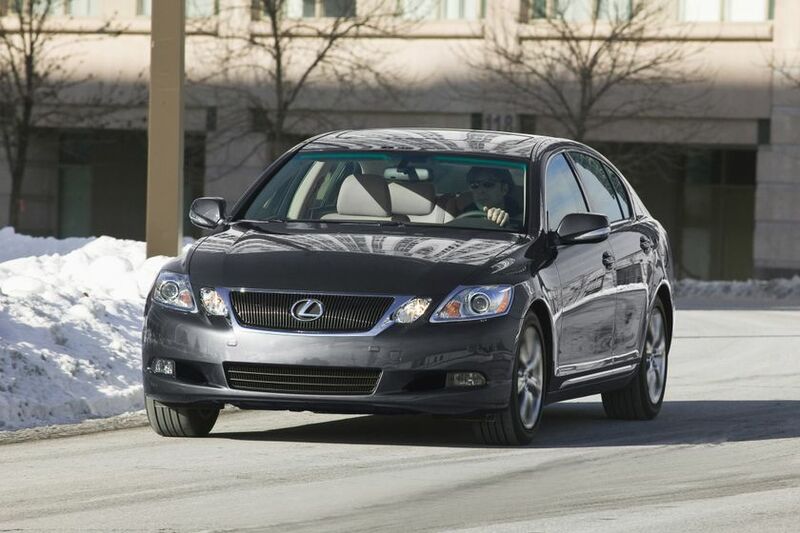 Two options packages are available for the GS 350 All-Wheel-Drive edition. 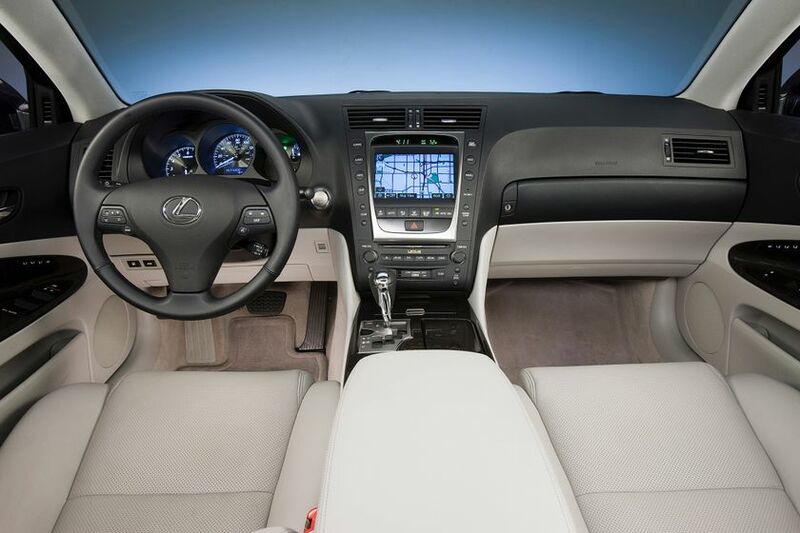 The GS 350 AWD may also be ordered with the Ultra Premium Package, which includes all of the above features plus a 14-speaker Mark Levinson audio system equipped with a six-disc DVD changer. The rear-wheel-drive GS 460 takes sophisticated handling and control to Lexus levels with a high-performance, high-technology suspension. The independent front suspension is of double wishbone design, while the independent rear suspension is fitted with multilink rear control arms. Each is reinforced with a stabilizer bar. In addition, the Lexus Adaptive Variable Suspension system is fitted front and rear, enabling the GS 460 to make full use of its uncompromising drive train over a wide range of road surfaces. The GS 460’s electric power steering is enhanced with a variable gear ratio steering system for peak performance at any speed. Additional traction comes from the vehicle’s impressive P245/40R18 performance summer radials. 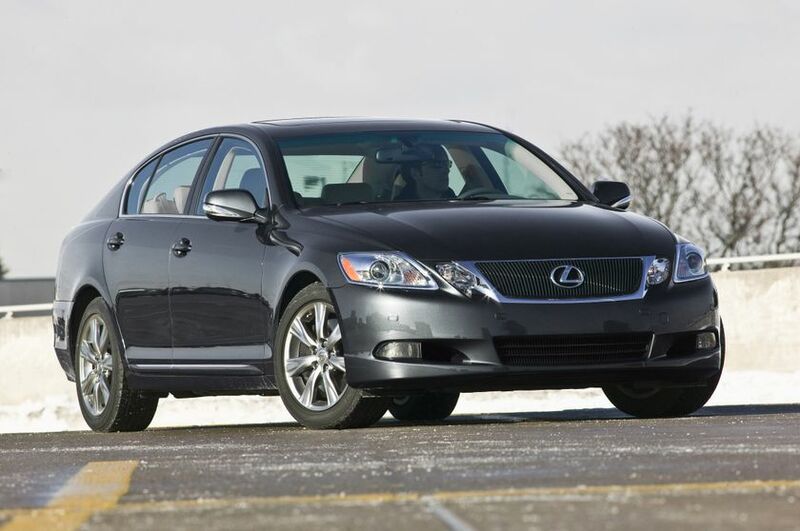 The 2010 Lexus GS series is on sale at Lexus dealers across Canada now. The GS 350 carries a Manufacturers Suggested Retail Price starting at $52,500 for the Rear Wheel Drive model, and $54,500 for the All Wheel Drive model. The GS 460 starts at a suggested $67,100.